Put an end to messy counter tops while cooking. Our spoon rests contain drips, and give utensils a place to call home. They're gently curved and perfectly angled. 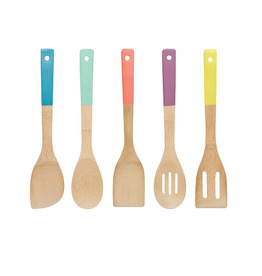 Ban bland from the kitchen by introducing utensils with dipped handles. Hard-working bamboo gets dressed up with an array of rich colors.